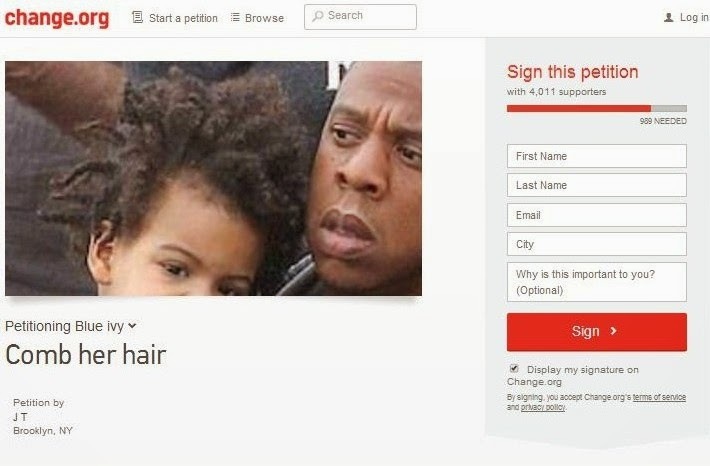 Thousands of people have signed that ridiculous petition! Jasmine Writes: “As a woman who understands the importance of hair care” she writes. “It’s disturbing to watch a child suffering from the lack of hair moisture. The parents of Blue Ivy. 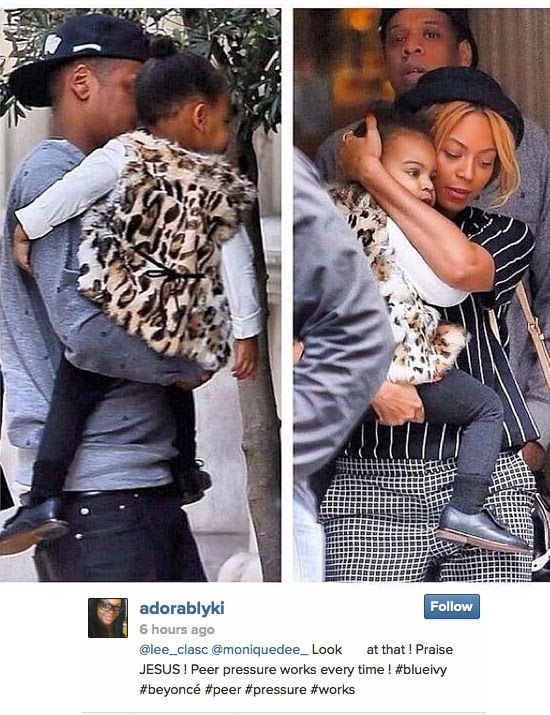 Sean Carter A.K.A Jay-Z and Beyoncé has failed at numerous attempts of doing Blue Ivy Hair.